Megatix Australia - ASE • All Soul Everything! ASE • All Soul Everything! 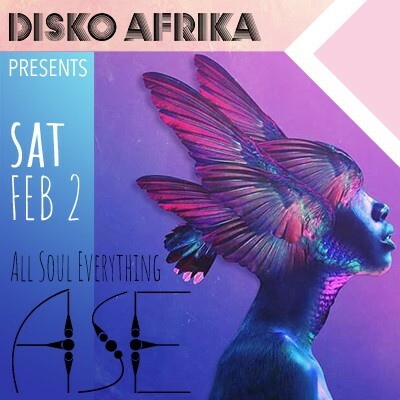 Disko Afrika presents: ASÉ (All Soul Everything) at Newearth Haven! A night of pure global Soul music and vibes. Come get down to classic and future soul, funk, r&b, soulful hip-hop, dancehall, soulful house, afro-house and more.